$2999.00 (Excelent Condition Machine) . 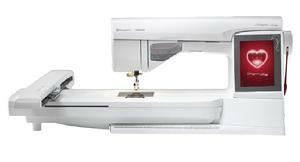 Includes: Sewing machine, Large Embroidery Unit, Accessories. Features: HD large color touch screen, 250mm (10") sewing clearance, Embroidery Unit with 360 x 200 mm hoop included, Capable of embroidering up to 350 x 360mm designs with Grand Dream Hoop (available separately), USB stick or USB direct to computer connection for design transfers, more. 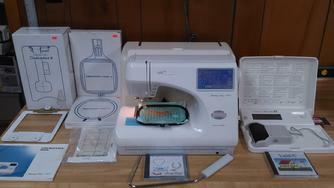 POM Janome Memory Craft 9000 Embroidery/Sewing Machine.